These “man-altered landscapes” were a far cry from the celebration of pristine natural beauty which had been a favorite subject of modern photographers. The comparably nondescript images of the New Topographics—as the photographers included in the exhibition came to be known—outlined a new subject as well as a new aesthetic. Taken together, they posed questions about the ever-expanding sprawl of housing developments and the social and environmental implications of this unchecked growth. 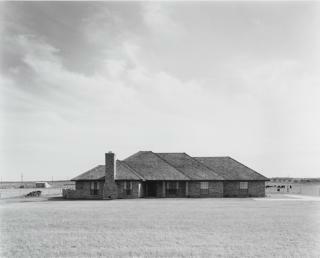 In addition to the photographs by Robert Adams, Lewis Baltz, Joe Deal, Frank Gohlke, and Henry Wessel, who were featured in the original show, this installation also presents thematically-related works by other artists.Image: Near Crowley, Texas, 1978, Frank Gohlke, American, born 1942, gelatin silver photograph, 14 1/8 x 17 9/16 in., Seattle Art Museum, Gift of the American Telephone and Telegraph Co., 82.51. New Topographics Seattle Art Museum Main address: Seattle Art Museum Wells Fargo Center 1300 FIRST AVENUE WA 98101 Seattle, United states Seattle Art Museum Wells Fargo Center 1300 FIRST AVENUE WA 98101 Seattle, United states 2018-06-30 2019-04-14 In 1975, the George Eastman House in Rochester, New York, featured the work of ten contemporary photographers in an exhibition titled New Topographics, which became an important milestone in photographic history. The subtitle of the exhibition was “photographs of a man-altered landscape” and the images, most of them in black and white, captured distinctly unheroic vistas. The subjects were primarily new housing developments in various stages of completion, indicators of development from newly-laid roads to mounds of dirt.